Offering twenty years of interior design experience, I specialise in bathroom and kitchen design and can help guide you through the process from initial concept through to the smallest detail and finishing touches. A full project management service is available as well as product specification and supply, design and layout, lighting, floor and wall finishes. I also offer bespoke furniture and joinery design, fabric and wallpaper specification and supply, window furnishings, interior design, Integrity, environmental awareness and sound design principles are partnered with an ability to interpret and understand the needs of each client, translating their ideas into inspirational, quality interiors and finished products that will stand the test of time and reflect their owner's style and personality. Whether your bathroom budget provides for a personally designed renovation, an investment property refurbishment, or something in-between, we would be delighted to meet with you to discuss your requirements. 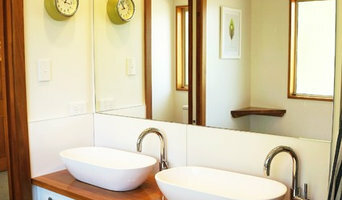 Established in 2000 by Andrew Peddie, Bathpro (formerly Bathroom Professionals) specialises in the renovation and alteration of bathrooms, ensuites and laundries throughout the Canterbury area. Butterfield Construction is a family business with over 30 years of experience in Christchurch and we have renovated bathrooms for much of that time. Our time in the game means that we have experience in all types of bathroom renovations and we will be able to complete your project with as small an impact that is possible on you and your family. Christchurch Wide Service - Affordable Pricing ... Streamline Spouting Systems provide a total range of spouting services. If you’re building a new home, need your existing spouting repaired, or are just in need of an important spouting clean. Our professionals can do every kind of task in a perfect manner. All work is completed to a high standard including installation, repairs, cleaning gutters waterblsting etc. With an eye for aesthetics and a practical approach to layout and design, Christchurch, Canterbury, New Zealand bathroom designers and renovators can help you create a well-planned space that suits both your needs and personal preferences. Many bathroom renovators in Christchurch, Canterbury, New Zealand offer a full-design service, from concept to completion. This includes accessing the homeowner’s wants and needs to ensure they provide a functional layout and design that is also attractive and blends in with the rest of the home. In addition, designers have a wealth of knowledge in product trends, materials and finishes, and can take the hassle out of deciding upon and sourcing accessories and hardware. Find a bathroom renovator on Houzz. 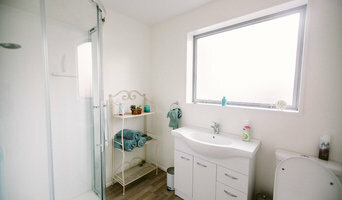 Scroll through this page to find the best bathroom renovators in Christchurch, Canterbury, New Zealand. Browse photos to see how their work compares to the scope of your project, read reviews to see how others rate their work, and message them directly to to ask any specific questions.